A defective child product was recalled Today by Target. 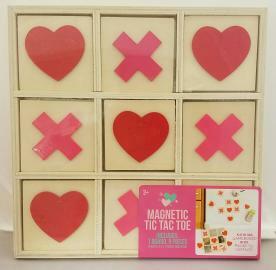 If you recently bought the Magnetic Tic Tac Toe Game you should be aware that this game set is defective and extremely dangerous for your children. The magnets can detach from the game pieces and pose a chocking hazard. Additionally if a child swallows more that one magnet, the magnet can attach together and create serious injuries such as intestinal obstructions, perforations, sepsis and death. If you owned this game (see picture) stop using it immediately and contact Target for a refund.